The winter weather has come to Pike County, and with it comes ice removal. Having safe roads, sidewalks, and driveways is important to everyone. To achieve this, most people reach for a commercially available ice melt product. While these products make our homes safer from ice, they can negatively impact the environment. This can include damaging vegetation near the application site, or impacting local fresh water resources. The good news is with a few tips you can decrease these negative impacts. Tip 1: Pick the proper de-icing treatment. Things to consider: What surface will you be applying the ice melt to? Is it safe for that material? Is the product safe for plants or pets? At what temperature is the product most effective? Tip 2: Read the instructions and follow them. Do not apply more ice melt product than is recommended. When it comes to ice melt more is not always better. If you can, apply less product than is recommended. Tip 3: Utilize other products to increase traction. Sand, ashes, clay kitty litter, or fine gravel all increase traction with limited environmental impacts. Consider using these products in place of or with more traditional ice melt products. You may be able to decrease your use of ice melt products and therefore decrease the environmental impacts. Tip 4: Purchase heating mats for frequently traveled or dangerous areas. 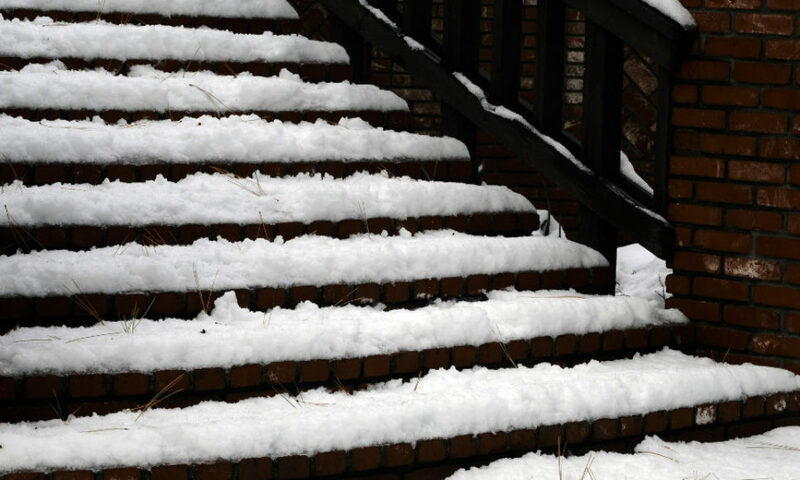 Electric heating mats can be utilized to melt ice from areas like stairs, or frequently traveled walk ways. These mats will eliminate the use of ice melt products in these areas, while still providing a safe walking area. Tip 5: Remove snow from walking paths quickly. Many areas of “ice” are actually highly compacted snow. If the snow is removed prior to being compacted by feet or vehicles the need for ice melt will be eliminated. These simple tips should help keep you, your family, and the environment safe this winter!